Is Apple about to kill the iPhone 5C? Is this the end for the iPhone 5C? According to the latest reports, Apple is preparing to release two new iPhones this September - and may kill off the colourful sibling in the process. South China Morning Post claims that one of the new iPhone 6 handsets will pack a 4.7-inch screen, while the other will come in at a sizeable 5.5 inches. They'll also reportedly be made from sapphire crystal, even though we just heard that Apple couldn't afford to put these tougher screens in the iPhone 6. According to the sources "who have seen the prototypes", these screens will have a pixel density of 441ppi, up from the current 326ppi. But also interesting is the claim that Apple is planning to ditch its colourful 5C from the lineup. Instead, it will reportedly sell a 5S "made from cheaper material." 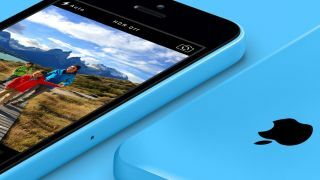 The iPhone 5C didn't take off quite like Apple had hoped, with Tim Cook admitting that the sales were lower than expected. However, take this rumour with necessary caution, especially as the source is unverified. Would an iPhone 5S with cheaper materials still be the 5S – or will Apple actually turn this into the C and just ditch the colourful backs? Does the iPhone 5C really deserve to die?